Small business owners in the United States that have suffered from both economic and social disadvantage can avail themselves to the Small Business Administration (SBA) and enter what is called the 8a Business Development Program. Entrance into the program is obtained through the acquisition of an 8a Certification. This program is a business development program designed to help small businesses overcome past hardships and challenges the owner(s) have experienced. The owner of the firm must be a US Citizen in order to apply. The program is designed to give preference to the 8(a) certified business in working with federal clients by obtaining contracts from Departments or the agencies of those Departments. 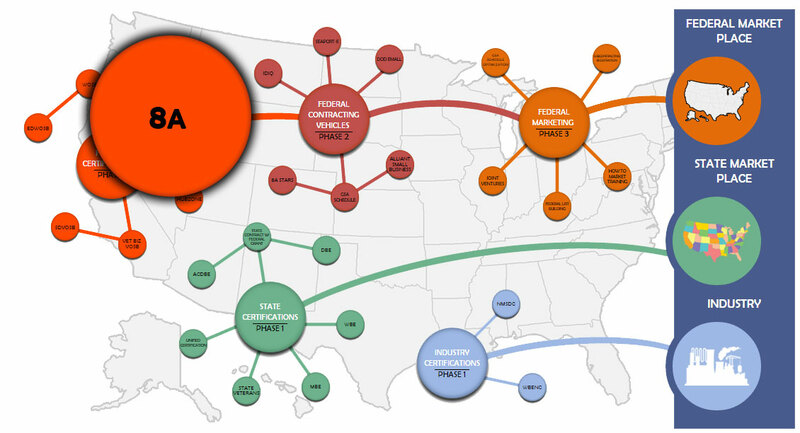 The total number of 8(a) certified firms has ranged from 6,500 to 10,000 firms in recent years. This business development program can help a small business grow by cutting the government red tape normally associated with federal contracts. This allows these small business entrepreneurs to get their feet wet in federal contracting and use that experience in order to fast track their firm to success. Small business owners who are finding it difficult to grow their business through traditional organic/commercial methods would find the SBA 8a Business Development Program to be a great resource. The program gives 8a Firms nine years of preference in federal contracting in order to overcome prior years in which they suffered from racial, ethnic, gender, geographical or disability bias. 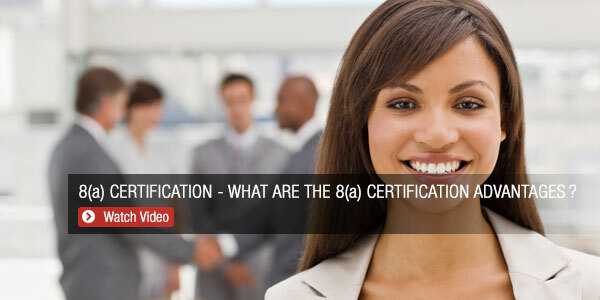 The 8a certification and business development program consists of two phases over the nine year eligibility period. Phase 1: 4-year ‘Development Stage’ followed by a phase 2: 5-year ‘Transitional Stage’. During the Transitional Stage, the firm is required to take steps to insure its survivability once it graduates from the 8a program. All 8a certified minority owned companies are entitled to receive ‘sole-sourced’ government contracts up to a maximum of $4 million on a per contract basis for those dealing in goods and services. For small businesses that are in manufacturing, the firm’s ‘sole sourced’ contracts can reach a maximum of $6.5 million on a per contract basis. 8a firms can participate in set-aside contracts whereby the competition for the contract is only other 8a contractors. This limits the bidding field to a pool of relatively homogenous contenders with similar sizes and capabilities. Another benefit for 8a firms is that they can learn from, as well as take part in larger projects by partnering with another firm, while still receiving the benefits of an 8a certification. These partnerships are mentor/protégé or joint venture arrangements. They enable small business firms to increase their skills and experience by taking part in larger contracts in a much lower risk environment. In order to get approval from the SBA, the small business applicant firm should fully conform to the following eligibility criteria. A firm whose application is denied by the SBA will be barred from reapplying for a period of 1 year. Here are the primary 8a program eligibility details. All business applicants need to verify that at least 51% of the firm is owned by an individual who is a US Citizen and socially and economically disadvantaged. The small business applicant needs to have documented sales in the public or commercial marketplace over the past two years and be successful in doing so. The business applicant must be classified as a small business according to the guidelines for small businesses associated with the firm’s primary NAICS Code. The owner of the firm will have to submit a variety of documents and items. These will include their personal and business income records for the last 3 years, all articles of organization/incorporation, all minutes, operating agreement/by-laws, proof of insurance, leases, resumes, background information and any other pertinent documents that are needed to be disclosed as part of the application process. The SBA can and will ask clarifying questions of applicants throughout the process. It is important that these concerns being addressed by the SBA are responded to in a timely manner or the SBA will have no choice but to deny the application. The 8a application process is a long and detailed one. Part of the process is completed online through the SBA’s portal, and part of it requires a paper application which typically is 300-500 pages in length. The applicants must follow a very specific format so that it is congruent with the SBA’s review process. Expectations are that the SBA will complete its review of an 8a application in a period of 3 months from the date in which they receive the application.